You may have seen posts on our social media accounts or website that reference Daka-ware. Most likely, you haven't heard the term before and are wondering where it originated from and what it means. We would like to give you a brief Davies Molding history lesson to explain Daka-ware. As you probably already know, Davies Molding has been around for a long time. We've been designing and manufacturing insert-molded knobs, handles, cases and custom components since 1933. We have over 80 years of thermoplastic and thermoset molding experience! When we were molding products in the 1960's, we used Daka-ware as a trade name. 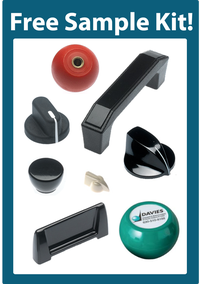 Daka-ware referred to our line of compression molded phenolic knobs, handles and ashtrays. Yes, you read that correctly, ashtrays- they were quite popular at that time. Daka-ware, phenolic parts, can withstand much higher temperatures than ABS or PVC plastics. 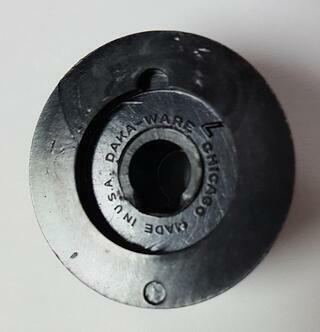 We still have tools that have the Daka-ware name on them, so chances are, you will still come across the Daka-ware name when you see a Davies knob.